The meetings and conventions segment of the hospitality industry is often overlooked by newcomers to the field — but it is an exciting, dynamic area that merits a second look. Meetings, Conventions, and Expositions: An Introduction to the Industry offers a detailed breakdown of all aspects of group business travel. 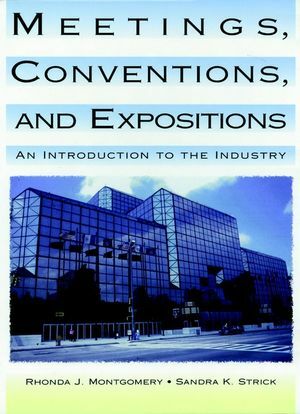 From sponsors and venues to technology and management, anyone new to the industry will appreciate this in-depth exploration of a convention's many "moving parts". Rhonda J. Montgomery and Sandra K. Strick are the authors of Meetings, Conventions, and Expositions: An Introduction to the Industry, published by Wiley. History of Meetings, Conventions, and Expositions. Changes Affecting the Meetings and Conventions Industry.